Here at Revolution Medical Spa we offer the latest in Tulsa Dermaplaning. 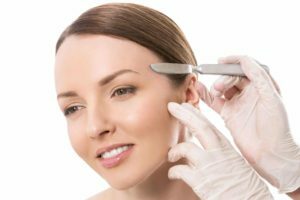 Tulsa Dermaplaning is a safe an effective procedure performed by a licensed aesthetician here at Tulsa Medical Spa. Dermaplaning uses a sterile surgical scalpel to shave the surface of the skin to remove excess dead skin and vellus hairs. The dermaplaning tool is held at a 45 degree angle and is brushed along the skin to remove the hair and skin cells. Tulsa dermaplaing is only performed on the face and is not used for shaping the eyebrows, which the hair is much thicker. It is generally a stand alone procedure, but it does create deeper product penetration boosting the products effects. Tulsa Dermaplaning makes skin look and feel smoother and will reduces the appearance of acne scars, this is a very popular procedure at our Medical Spa. There is not downtime and makeup can be worn right after. It is actually very relaxing and quite enjoyable and patients experience a spa atmosphere at Tulsa Medical Spa so each treatment is the ultimate pampering experience. At Revolution Medical Spa we recommend this procedure be performed every four weeks. This is once your skin has completed is rejuvenation cycle, This will remove two to three layers of skin giving your skin a refreshed look and feel. There is no need to worry about the hair on your face getting any darker. Since dermaplaning only targets the vellus hair. This hair will grow back the same size and color. It is physiologically impossible for the hair to grow back thicker and dark, so no need to panic and worry. Our staff here at Revolution Medical Spa staff will take the appropriate steps to ensure that the procedure is performed with your care in mind. Please do not perform this at home leave that to us at Tulsa Medical Spa. Now that we have discussed the benefits of Tulsa Dermaplaning please call the office and ask for our licensed aesthetician if you have any additional questions or would like to schedule. Call Revolution Medical Spa at 918-935-3636 or visit our new location at 12142 South Yukon Ave, Glenpool Ok. This new location is located right off highway 75 south and 121st street. 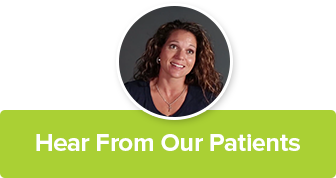 We look forward to scheduling you for a Tulsa Dermaplaning procedure today.